After many years I decided to face with it again. Having now good knowledge and expirience I found one broken model for me and bought it. Its renovation will be described in different article. 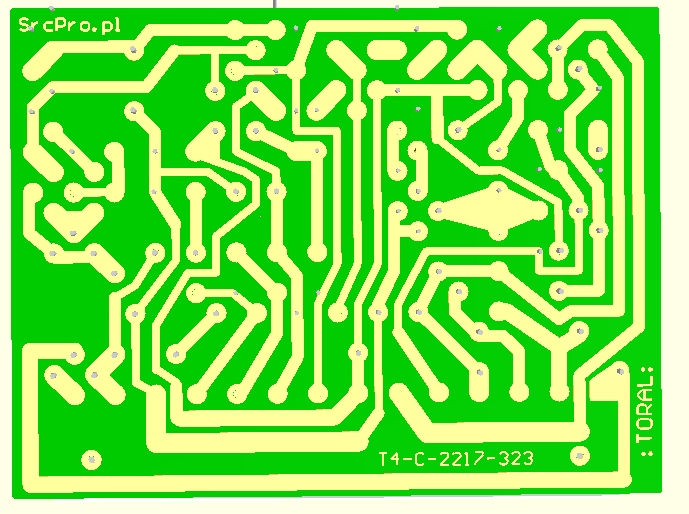 Here I just want to share a PCB layout. 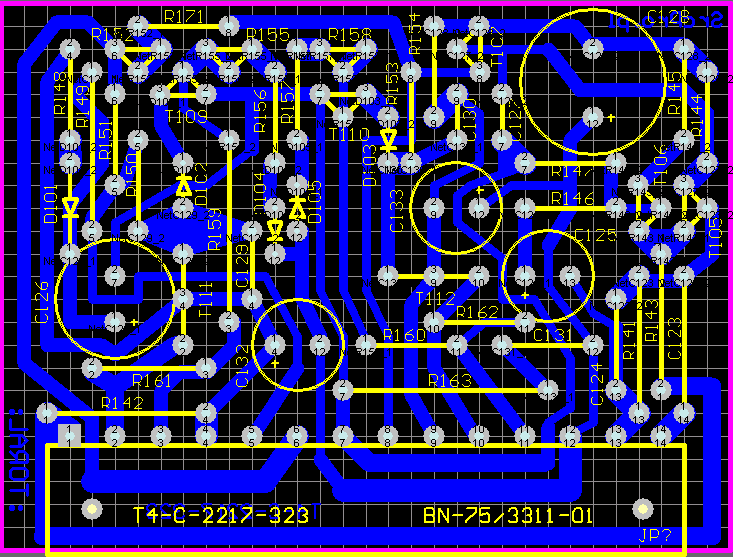 The most common failure cause of this power aplifier is this board. If only a few parts are broke, there is no big deal, but sometime happend that whole board needs to be replaced. Company is closed for a years. That is why I decided to spent a few evenings and make a copy of it. I made it and I hope that someone will find it useful. I encourage to share your opinion below. If you send me a photo of your board I will be delightful to put it here. Diora wypuściła ten wzmacniacz z oznaczeniem WS-401S. WS 304 i pw 7010 i 7020 itd to nie jest żadna diora !!! to ŁZR!!! Tak. Stare (o ile nie suche) mogą lepiej trzymać patry niż nowe z Chin. Czy warto stosować stare kondensatory w tej konstrukcji?